Have you been wondering what to do with that luscious, but somewhat intimidating gradation fabric? Strata is a super easy, one fabric quilt that answersthat question! Or use 5 of your favorite fabrics and stitch up a simple yet elegant quilt! 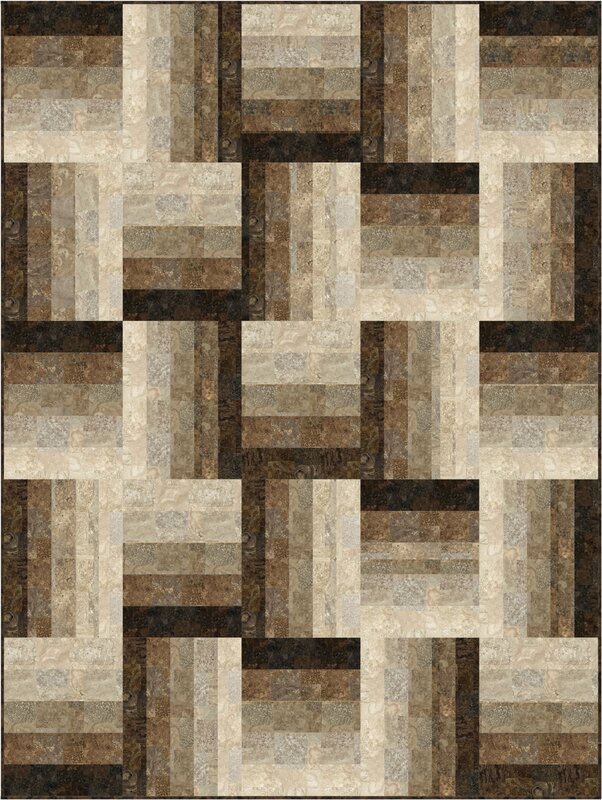 Pictured quilt is made using Northcott’s Stonehenge Mighty Pines Collection.